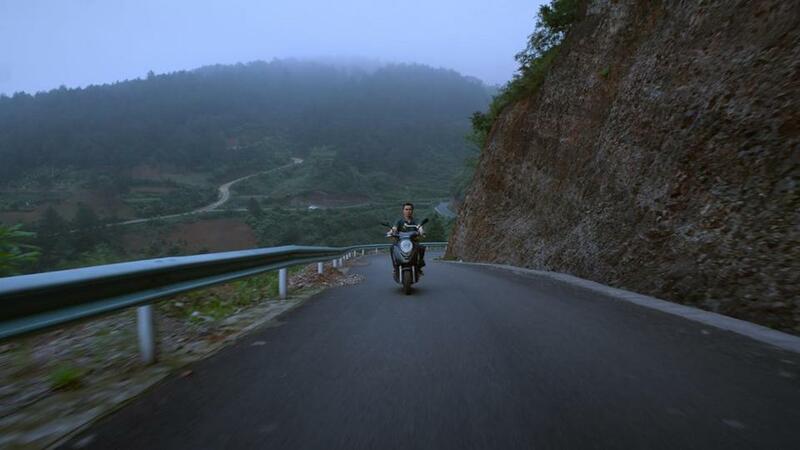 “It is like a dream,” says Chen (Chen Yongzhong), protagonist of Chinese director Bi Gan’s astonishing feature debut, “Kaili Blues.” Chen’s description is as good as any. Time and space long ago lost all meaning. This assault on conventional narrative opens with fair warning — a quote from the “Diamond Sutra” in which Buddha points out that “neither the past, present nor future can be found.” Bi illustrates this circularity with slow, revelatory, 360-degree pans that leave Chen, along with the rest of us who are unenlightened, in a muddle. Bi attempts to unravel — or further complicate — this confusion with an elliptical, unsettling narrative leading up to a 40-minute unbroken tracking shot that takes place in the mystically squalid river town of Dangmai. Such technical tours de force have become more commonplace these days. But unlike in Alejandro Iñárittu’s show-offy stunt in the Oscar-winning “Birdman” (2014), here it is not gratuitous. It connects and dissolves the points of view of the characters, merging their memories and fates. Chen has wandered into Dangmai after leaving his extremely unhygienic medical clinic in the title city on a multitasking quest: to make offerings at the grave of his mother, to deliver talismanic items to the ex-boyfriend of the elderly doctor (Zhao Daqing) who shares his practice, and to find Weiwei (Feiyang Luo), his young nephew. The son of Chen’s half-brother Crazy Face (Xie Luxun), Weiwei is the kind of odd, neglected child who passes the time drawing clock faces on walls or a watch on his wrist, portents that prove significant, illuminating, if not clarifying. While in town Chen reveals some of his back story, a reminder of the punishing world of cause and effect that is slipping away. He had served nine years in prison, during which time his wife died. So did his mother, leaving him a house (coveted by Crazy Face) and a recurring dream of her azure slippers rushing down a river. Bi’s singular vision bears comparison to those of other geniuses such as Tarkovsky, Sokurov, David Lynch, Luis Buñuel and Apichatpong Weerasethakul, Like those auteurs, he achieves what film is best at but seldom accomplishes — a stirring of a deeper consciousness, a glimpse into a reality transcending the everyday. Written and directed by Bi Gan. Starring Chen Yongzhong, Feiyang Luo, Xie Luxun, Zhao Daqing. At Brattle. 113 minutes. Unrated. In Mandarin and Kaili dialect, with subtitles.